Recently Carl, the owner and entrepreneur behind Woodfarm Barges got in touch to tell us all about what inspired him to branch out in to dog-friendly boating! If you fancy a dog-friendy holiday with a difference, this is definitely one for the bucket-list! 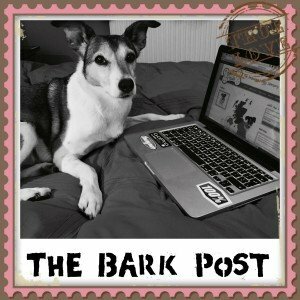 “Building my dog-friendly holiday cottage business for nearly ten years I was thinking of a way to branch out. 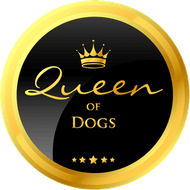 We had developed a solid reputation for high quality within the ‘dog owner’ market, combined with a really romantic environment, so I wanted to focus on that. 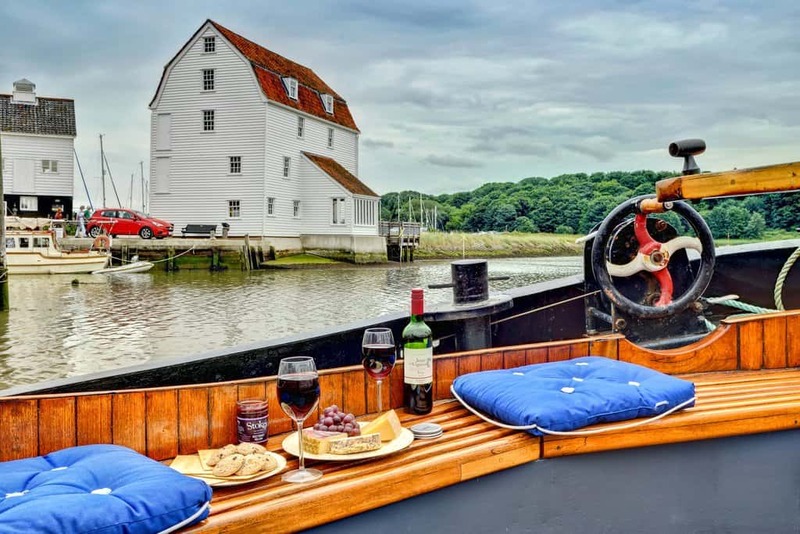 I’m a keen boat chap and I love being on the water, so it occurred to me that there was a way to offer something quirky, whilst retaining our dog-friendly, high quality approach. 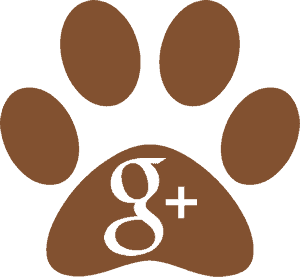 So I hit on an idea for dog-friendly cottages with a difference. A Dutch Barge steeped in history! To be honest, I ended up buying two! 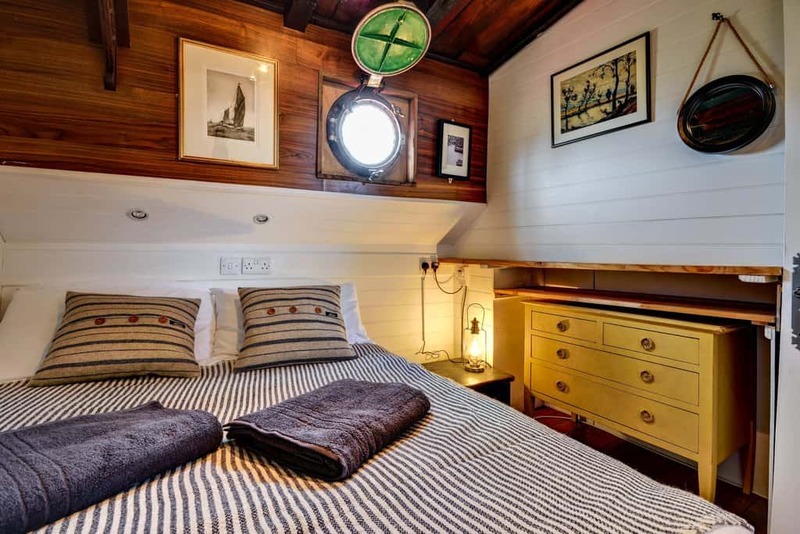 One huge one, called ‘Onderneming’, which is perfect for groups of friends or family (sleeps 6-8) and then a smaller one called ‘Twee Gebroeders’, which is the ideal floating dog-friendly holiday cottage for couples. They have gone so well in the year or so since we’ve had them that they have both featured in ‘The Times’ in February 2018! The former in their list of the “50 most unusual Holiday Homes in Britain” and the latter in their list of “Love Nests; Perfect places for couples”. We’ve also had a huge spread in Dog-Friendly Magazine and been on ITV in a feature they did on dog walking in Suffolk! 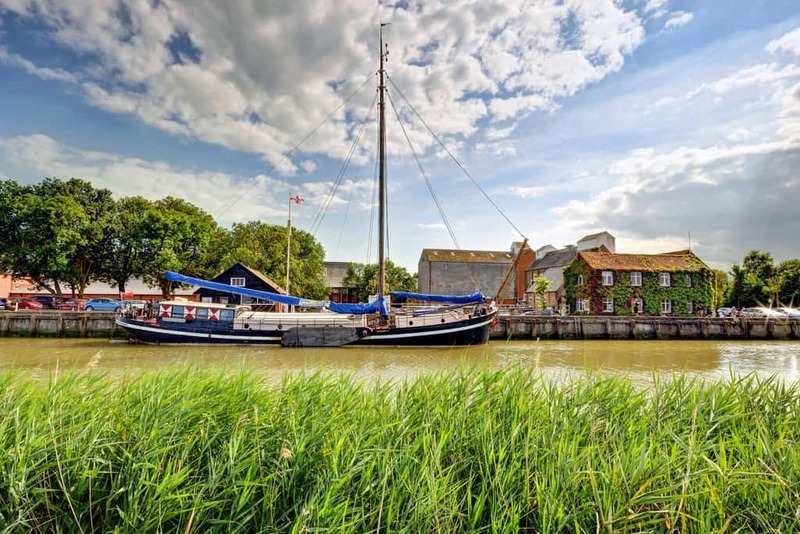 Onderneming is moored at the Quay at Snape Maltings and Twee Gebroedrs is moored by the iconic Tidemill in Woodbridge, both in Suffolk. Just 25 to 35 minutes from Woodfarm Barns, so I have this wonderful ‘Suffolk Bermuda Triangle’, where I split my time. 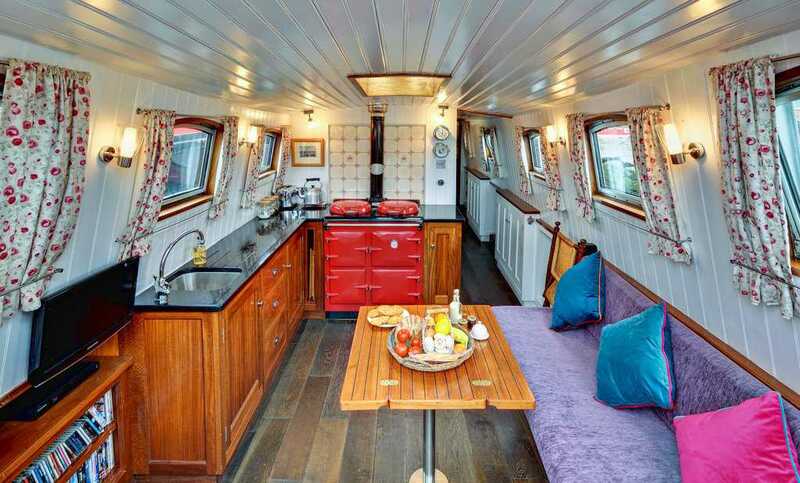 ‘Twee Gebroeders’ has an open plan ‘saloon/ galley’, or kitchen, lounge, diner to you and I. 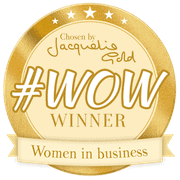 She has a lovely shower room and a cosy double cabin. 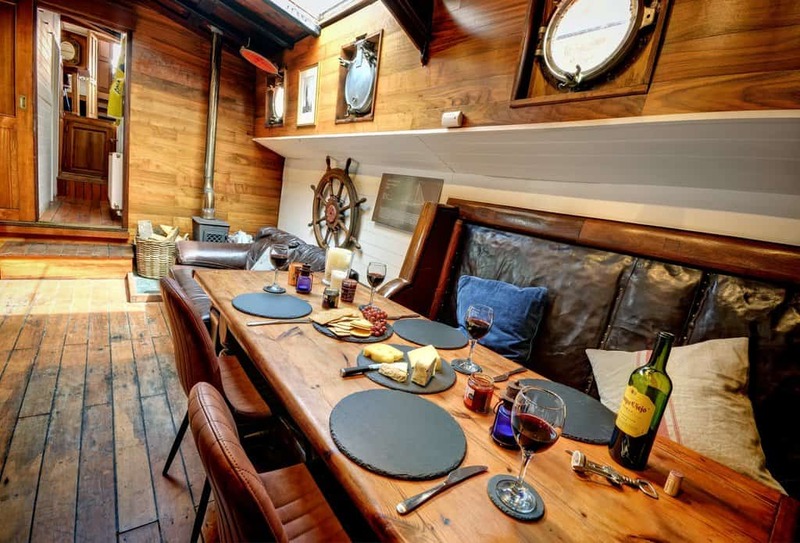 There’s also a twin cabin but this quirky holiday really lends itself to couples looking for a dog-friendly holiday cottage with a difference. Onderneming is a different beast altogether, with three double bedrooms and two open plan kitchen/ diner/ lounge areas and three bathrooms. One of the saloons has a comfy double sofa-bed too. 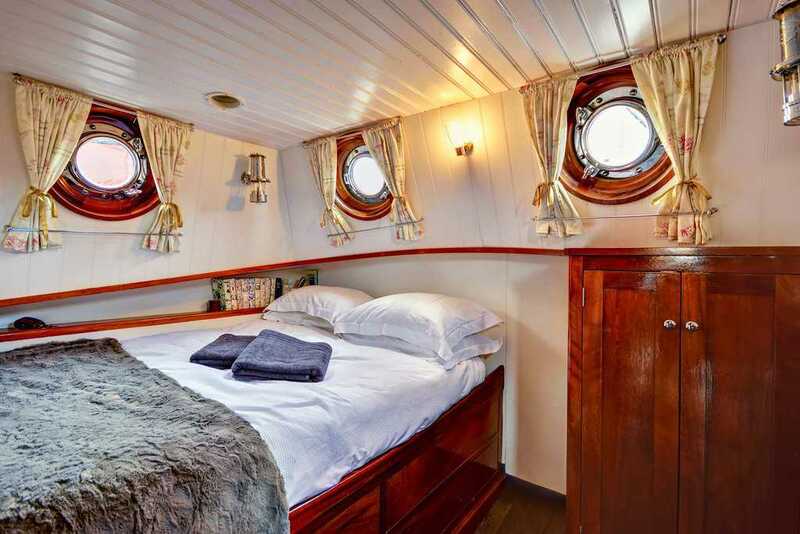 Both barges feature fully insulated hulls and and domestic central heating systems, so you can enjoy them all year round. You barely know you are floating as they are in sheltered positions on the beautiful Rivers Alde and Deben respectively, and weigh over 100 tons and 30 tons in turn, so you don’t need to worry about sea-sickness! 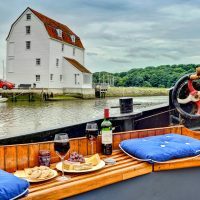 Snape and Woodbridge both have dog-friendly restaurants, as well as pretty walks along the river, directly from the quay, so if you’re looking for a dog-friendly holiday cottage in Suffolk, with a twist, then a weekend or midweek break aboard one of our barges could be just the thing for you. 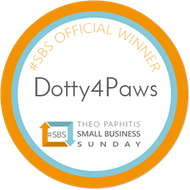 To check out their listings head to Woodfarm Barns or Woodfarm Barges to find out more and to book a unique dog-friendly experience with your pampered pup. 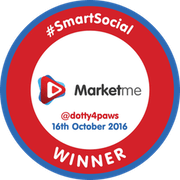 A huge thank you to Carl for sharing his blog, it’s always great to hear people’s success stories and to learn more about the inspirational people behind our dog-friendly listings.